The main building of the Hotel Tunquelen, made in 1942. 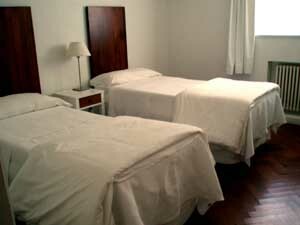 Double room, comfortable beds, and lovely views to the Nahuel Huapi lake and to the six hectare park. From the restaurant you can admire the Andes. Great view!! The spectacular view to the Nahuel Huapi lake from the health center pool. 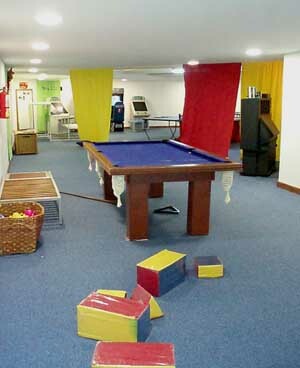 Kids Club, fully equipped for childrens joy! 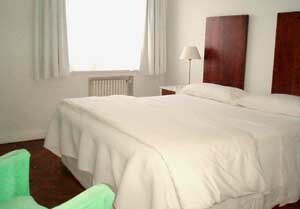 Hotel Tunquelen double room with forest view. 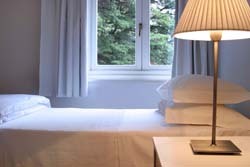 One of the queen beds room with forest or lake view. 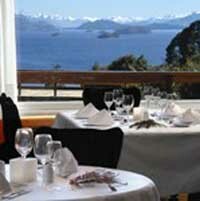 Situated in a typical wood of cypresses, coigues and unique species, the majestic European style architecture of the historic Hotel Tunquelen can be seen from the Nahuel Huapi lake. The six-hectare park with private dock invites its guests to stroll around and contemplate a carefully preserved landscape. The hotel has 40 rooms, an exclusive health club with sauna, massage room, heated pool, alternating hot and cold water shower and a complete gym. 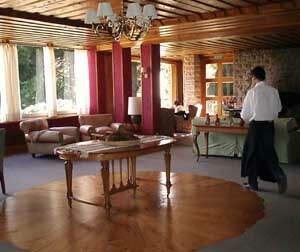 It has one of the most well-known restaurant-bars of Villa Llao-Llao – Restaurante del Bosque – and a unique conference room for 340 people. Cancellation is possible until 3 pm 31 days prior to the check-in date without penalty. Cancellation after 3 pm 31 days prior to the check-in date until 3 pm 15 days prior to the check-in date, will incur a penalty of 50% of the reservation total. A no-show or a cancellation after 3 pm 15 days prior to the check-in date, will incur a penalty of 100% of the reservation total.